Grand Canyon Destinations is family-owned, offering authentic local experiences at affordable pricing. 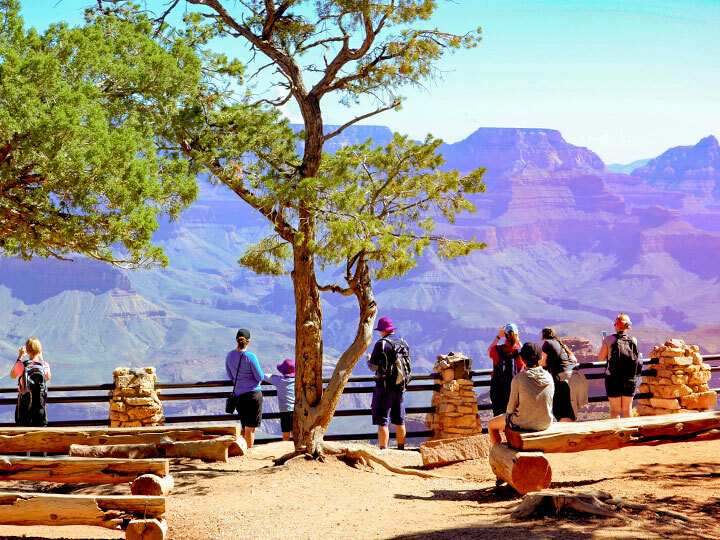 At Grand Canyon Destinations we provide a lens into the beauty of the Southwest that’s unlike any other landmark excursion you’ve experienced before. From start to finish, we are the only Las Vegas-based bus tour company that does not use a check-in terminal. This allows for you and your group to utilize our direct pickup and drop off system straight to and from or near your hotel on The Las Vegas Strip or Downtown. Convenient right? We know that we provide the best Grand Canyon tour from Las Vegas because of our unwavering commitment to the guest experience. We have convenient hotel pickups as well as included stops along your trip for food and restroom breaks. Join us to witness for yourself the wonder of the Grand Canyon with a tour company who cares about your experience and comfort from start to finish. Las Vegas and Grand Canyon attractions couldn’t be more different. Traveling with Grand Canyon Destinations, however, you can trust that you will experience both places to their fullest potential. 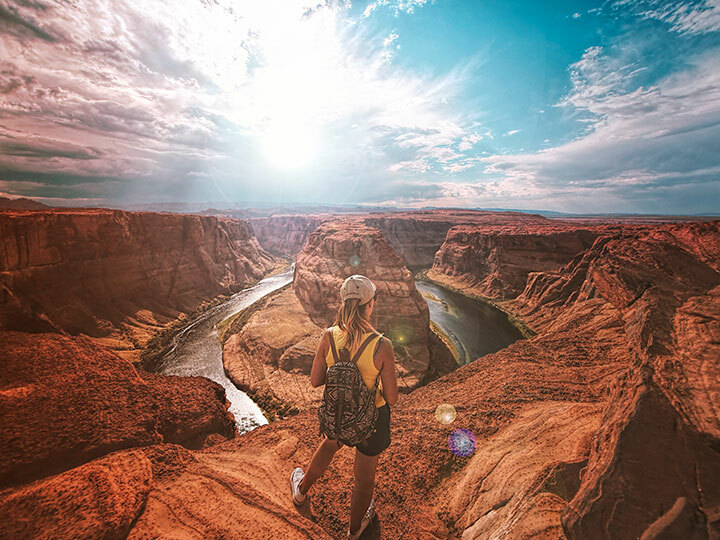 Offering Las Vegas bus tours to the Grand Canyon South Rim and West Rim as well as in Las Vegas, to the Hoover Dam, and Lake Mead, we know that we have just the tour for you. It can be difficult to know which Vegas Grand Canyon tours will work for your group, schedule, budget, and interests. Conveniently, we provide customizable and affordable tours for any group size and preference. When you visit Las Vegas, Grand Canyon tours must cross your mind. Luckily for anyone inexperienced with this destination, we know all about Las Vegas and Grand Canyon tours. Whether you are looking for an aerial view of the Las Vegas City Lights, or a walking tour of the Grand Canyon National Park- we have a trip planned and ready for you. When making accommodations with us, each special occasion deserves to be celebrated to the fullest! It is Vegas after all. Whether it be a wedding, family reunion, or an office retreat, we have the perfect tour in mind for you at a price that can’t be beat! Just let us know how we can specialize your excursion, and we’ll lead you to the most beautiful and lesser known viewpoints for the most incredible photo opportunities that will leave you with lasting memories for a lifetime! And, of course, English and Spanish speaking guides are available upon request. Simply using your smartphone, give us a call at our direct local line (702-888-1883) and specify to our dedicated agents which hour you wish to begin and conclude your Grand Canyon from Las Vegas bus tour and our transportation team will handle the rest. From there, they will assign to you one of our experienced bus drivers and tour guides who are thoroughly trained to provide you with interesting facts, stories and information during your journey so you won’t miss out on a second of the action! Contact us today to experience the breathtaking Grand Canyon with the help of the best Grand Canyon tour company at an unbeatable price.